﻿ eZeefit Ankle Booties - Ultrathin - $15.95 : Bruised Boutique, For Derby. By Derby. Great, form fitting pull-on anti-blister Booties available in two thicknesses so you can choose the one that enhances your specific shoe/boot fit . Ankle Booties allow your foot to grip your footwear better, yet offer protection from rubbing and blistering. These have been described to us a cross between sockless and wearing socks... so the best of both worlds! Features flatlock stitching for durability and stretch. Made of custom bonded lycra. Sold as a pair. 3mm Fill in gaps in loose boots. 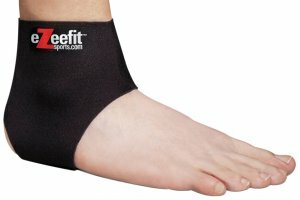 Reduces rubs and pressure from recreational boots.